Organic Keywords commonly referred to as Keywords are the backbone of any SEO campaigns. You must have come across many bloggers and SEO’s who stress upon using the right keywords in your blog content for improving your Search Engine Ranking. So what exactly is a keyword, what are its different types, how should we use it and how do they affect your Search Engine Rankings? This is exactly what am going to explain you in detail in this article. In layman’s language, a Keyword is nothing but a word or a phrase that people search for, at Google and other search engines. The search engines then look for this “Keyword” across all the web pages on the internet to deliver a set of results matching the query based on certain criteria. 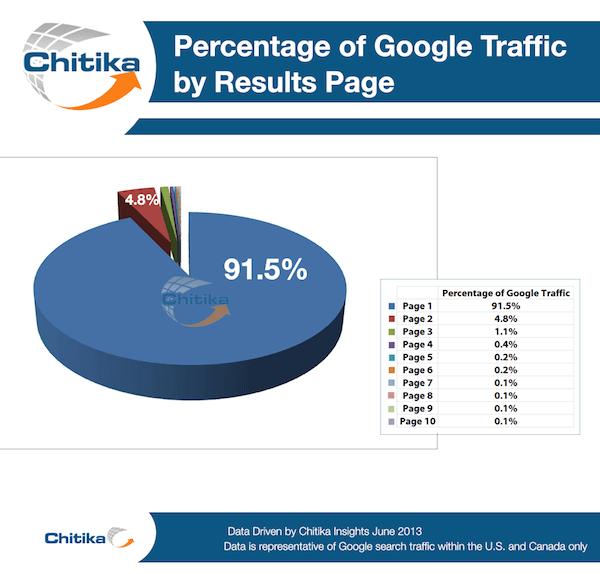 According to a Study carried out by Chitika, results displayed on the first page of Google gets 91.5% of total traffic. The traffic drops significantly to 4.8% for the second page, with results displayed on page 7 onwards getting only 0.1% of Traffic. So unless you are getting ranked on first few pages, you may get very little or no organic traffic. While there are many factors which decide your position at search engines, using the right keyword is usually your first step towards optimizing your Blog post to be ranked higher. So to improve your search rankings, you must know what exactly people are searching for and what words and phrases are they using to find it. You can then use these words and phrases in your Blog Posts to make sure Google and other search engines display your results in the search Engines. This entire process of finding the right keyword is termed as Keyword Research. However, before you move on to learn about Keyword Research, you must know what are the various types of Keywords and where to place them to for getting ranked higher on Search Engines. Short Tail Keywords are usually one to three words long and are used to search for broader results. They can give you very high search Volumes, but are extremely difficult to rank for. “Samsung Galaxy s4” is an example of Short Tail Keyword and yields 42.4 Million results. According to SemRush, it is searched more than 2oo thousand times per month and has a huge competition with 90.55% difficulty. With these keywords, you may get a lot of traffic, but the conversion rates would be extremely low. This is because a person may search for Samsung Galaxy S4 for various purposes like Buying or Troubleshooting or just reading reviews. So if you are looking to sell a product or want to have Affiliate Marketing as your primary source of Income, Short Tail Keywords may not give you desired results. However, if advertising is your primary source of Income, more traffic can generate a lot of Income. As the name suggests, these keywords are long phrases with 3 or more words. They usually draw fewer searches and are easy to rank for. For Example, ” Samsung Galaxy S4 troubleshooting” is a Long Tail Keyword which gets 480 searches per month and according to SemRush, has a difficulty of 80.68% which is “relatively easy” to rank for. However, if you are a new blogger, you must target keywords with a difficulty level of around 50% or below to be able to rank on the first page. Since long tail keywords give more specific results, they provide a more targeted audience as compared to a short tail keyword. Commercial Keywords are primarily intended for websites which sell products or heavily rely on affiliate marketing system. These keywords can lead to highest conversion. The concept is very simple. You need to think from a buyer’s perspective. If I wanted to buy a Samsung S4 Phone, I will search for “Samsung Galaxy S4 Discount” or “Buy Samsung Galaxy S4” and am sure you too will search the same. The words “Buy”, “Cheap”, “Discount” etc. can give you higher conversion rates. However, certainly you are not going to be the only one to use these keywords, so such keywords usually come with very high competition. According to SemRush, though the keyword “Buy Samsung Galaxy S4” is a long tail keyword with just 880 Monthly Search, it has a competition of 89.79. Below table will make things easy for your to understand. What Types Of Keywords To Use? Now that you know various types of keywords, you must be wondering what kind of keywords you should use? The answer is more simple than you think. You must use a combination of Long Tail And Short Tail Keywords. Since Long Tail Keywords are less competitive, it will make sure you are ranked higher at the search engines and thus fetch you some organic traffic. If your content is good enough, your visitors will spend more time reading your articles and might even share it on Social Media. This whole process will send a positive signal to Google, and it will eventually start promoting your articles in the search result for all the Long Tail and Short Tail keywords you use in your article. Placing your keywords at the right places is very important to get ranked higher at search Engines. Following chart shows the various places where you can put your keywords. Post Meta Title is the title that shows up in search results. By default, your Blog Post Title will be used as Post Meta Title. However, if you are using WordPress, you can easily choose a different Title for your Blog and search engines using WordPress SEO By Yoast Plugin. Post Meta Title is the most important place to put your Keywords. It is advised to use your Long Tail Keyword, which also consists of your Short Tail Keyword in your Page Title so that you can target both of them. For example, if your Short Tail Keyword is “Nike Shoes” then you can use a Long Tail Keyword “Cheap Nike Shoes” or “White Nike Shoes” in your Page Title. You can also include your keyword in the Permalink URL of your Post. With all other factors constant, www.example-one.com/tips-to-lose-weight/ would rank higher than www.example-two.com/burn-your-fat/ when searched for the query “Tips to lose weight”. Meta Description is the synopsis of your post as shown in Google Search results. Keywords in Meta Description are given more weightage than Keywords in the content. By Default Google shows the first few characters of your Blog Post in Google Search Results. However, using Yoast SEO Plugin you can write custom Meta Description for each Post. So if you are using WordPress, you can easily squeeze in your Keyword for each post. For Blogger, you need to plan your article to make sure you use your keyword in first few words of your article. This is one of the main reasons I transferred my blog from Blogger To WordPress. Depending upon the length of your content you can use up to 2-5 variations of Long Tail Keywords in your content. As for Short Tail Keywords, you should target only one per article and should maintain the Keyword Density around 1-1.5% as it yields the best results. Now that you know about various types of Keyword and where to place them, you must now focus on finding an appropriate keyword that you can rank for. You do not need to research for Short Tail Keywords nor do you target for the same, so you can simply use your blog topic as your Short Tail Keyword. With the search engines getting smarter, the Importance of Keywords is reducing every day. However, we all know that Search Engines cannot read like humans. So no matter how smarter the search engines get, they will have to reply on Keywords to judge the contents of an article. I hope after reading this article, your concepts about Keywords are clearer. Do share your thoughts and feedback about this article. The search engine optimization should be done entirely on the basis of keywords. If you select the right words at the start, the whole campaign will be organized with trending topics. And if any mistake is done then the entire campaign will lose the effect. I came to know about, how important it is to be careful not to overstuff the keywords. The perfect combination of the keywords with the title, metatitle, heading and subheading and in the body of the text can only make the post appear on the first page of the search engine results. Keywords are the backbone of all the Digital Marketing Activities including SEO, Social Media, PPC, etc. 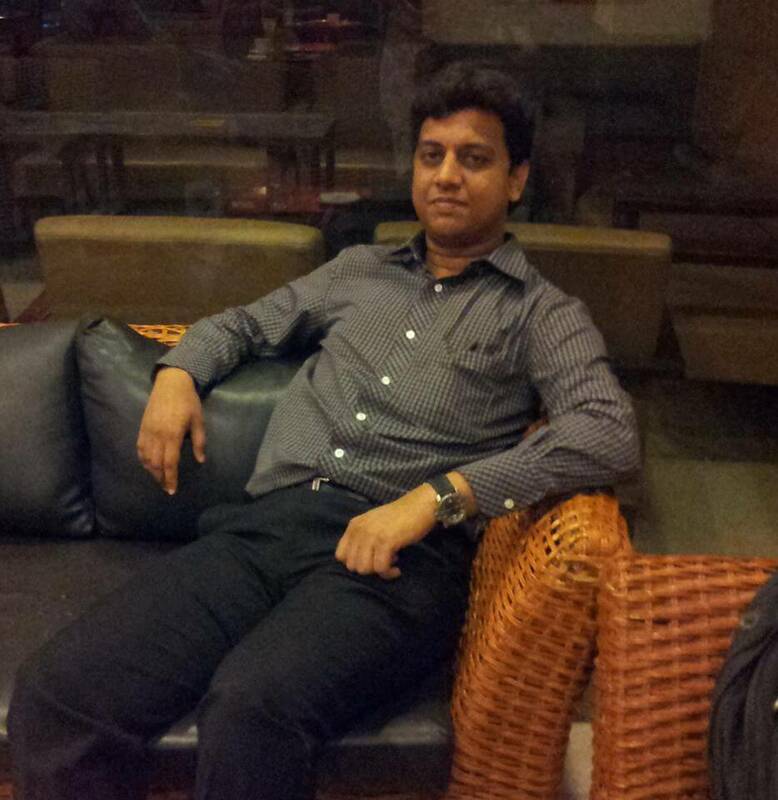 I believe regular monitoring of keyword is also as important as finding it. Really interesting Keyword Tips. Your post is awesome I really appreciate it, thanks. Vrisha, You are right, Keyword monitoring is as important as Keyword research. I usually keep track of my keywords in search console and then re-optimize my articles for important keywords that I missed out. Amazing Article… Absolute Clarity… Thank you!! Glad to know that my article was useful to you, Chhavi.